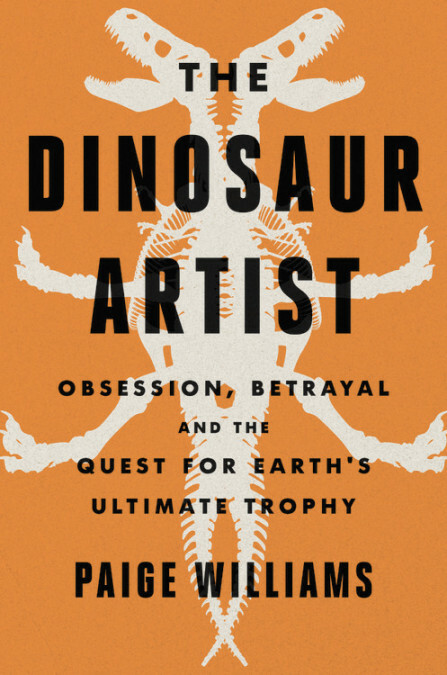 The Dinosaur Artist: Obsession, Betrayal and the Quest for Earth's Ultimate Trophy – a review – AiPT! Backdoor auctions, politics, and artistry all play a role in The Dinosaur Artist, a true crime book unlike any other. In The Dinosaur Artist, debut author and The New Yorker staff writer Paige Williams chronicles the journey of Erik Prokopi, a Floridian fossil collector who found himself entangled in an international controversy regarding a skeleton of Tarbosaurus bataar, the Mongolian cousin of Tyrannosaurus rex. Williams does a fantastic job framing the story. Her profile of Prokobi paints not just a picture of his backstory with fossils, but his history with music. Her chronicle of Bolortsetseg Minjin weaves together the relationship between Bolor and her father with the history of paleontology in Mongolia. This juxtaposition of history, both broad and personal, helps connect the reader to her subjects and creates a stronger emotional hook to the book as the situation escalates. The Dinosaur Artist covers a lot of ground, but Williams makes the large amount of information not only digestible, but exciting. Perhaps most importantly though, Williams keeps the book thrilling, as the Tarbosaurus skeleton goes from the auction before a hectic journey as the Mongolian government gets involved in the proceedings. Williams is able to provide excitement to legal proceedings and international dealings that connect to the story, even if only to provide tangential context. Thoroughly researched, with a gripping pace, The Dinosaur Artist is a fantastic true crime book that chronicles the involvement of one man with a stolen skeleton. Political history and paleontology crash into one another as the dirt and frustration from both continuously play into the story. Those with even a casual interest in paleontology or fossil hunting will want to pick this book up. The Dinosaur Artist is set to release September 11, 2018.